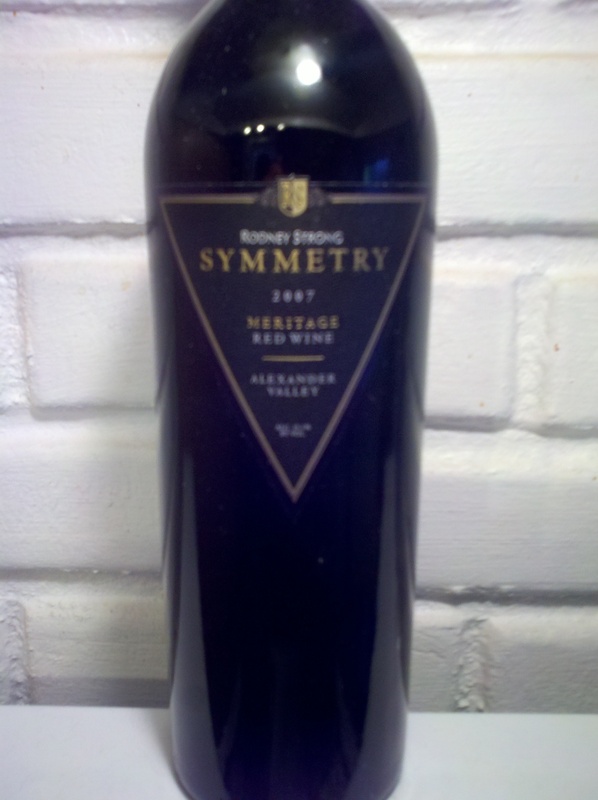 2007 Rodney Strong Meritage “Symmetry” Alexander Valley | Wine Splash! Wow! Big, bold, yet elegant. Deep garnet and very rich on sight. On the nose, ripe black fruit, dried plums, violets, tobacco, and petrol. Full bodied over the palate with a perfect combo of silkiness and grip. Flavors of black currant, black brier fruit, eucalyptus, and cedar. On my second sip, the wine became more complex showing dried cranberry and a hint of mushroom on a lingering, mouth watering finish. I did not decant this wine tonight but did use a Vinturi while pouring into my glass. It paired wonderfully with our grilled steaks tonight! It would also pair well with a rich filet mignon, a spicy leg of lamb, pasta with a tomato based meat sauce, and medium to strong cheeses. I spoil myself once a month with what I consider to be an elite wine and this was July’s choice. A great balance of dark fruit, herb, and tannins. This wine is 85% Cabernet Sauvignon with some Malbec, Cabernet Franc, Merlot, and Petit Verdot. I think the 2007 Rodney Strong Meritage “Symmetry” Alexander Valley deserves a 93 point rating! It is lush, elegant, and very enjoyable. If you have a 2007 vintage of this wine, you can drink now or hold up through 2016. WineSplashing! !